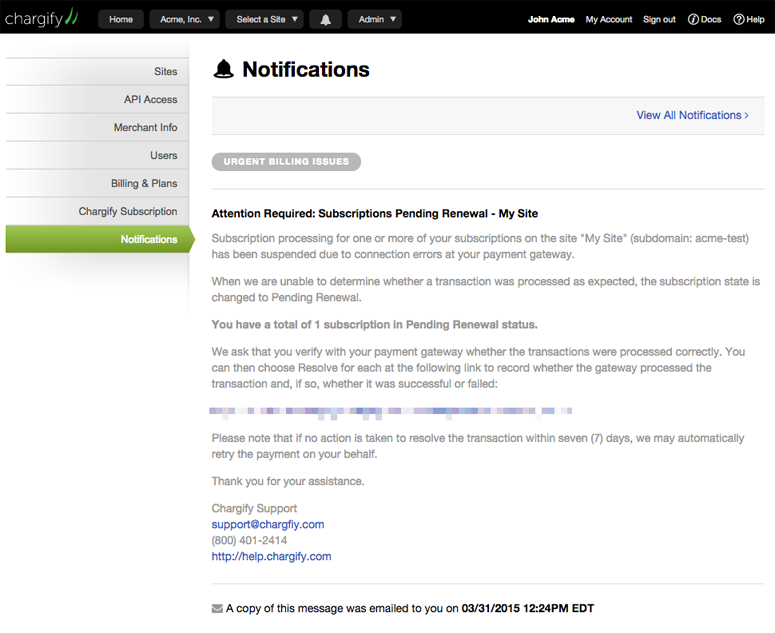 As part of Chargify’s ongoing efforts to communicate effectively with our merchants about everything from urgent billing issues to feature announcements, we are happy to introduce the Notifications Dashboard. You’ll notice a new icon in the top navigation bar of the app (see above). A pink dot lets you know there are unread notifications. Clicking through will take you to the Notifications Dashboard, where you’ll find messages sent to you from Chargify. The preferences link allows you to modify your subscription preferences, including subscribe/unsubscribe (below). Please note that all notifications will show up in your dashboard whether or not you are subscribed to them. If you are not subscribed to a specific channel, you will not see any visual indication in the app that you have new notifications that are unread. 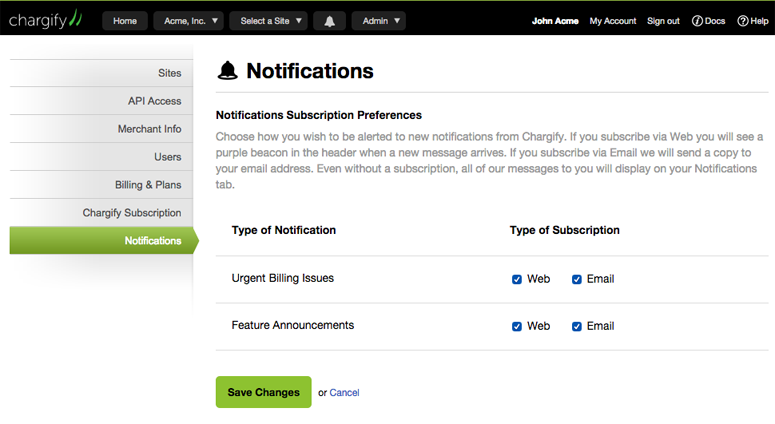 By default, all Chargify merchants are subscribed to all notifications. We will also use the Notifications Dashboard to let you know about new features that can help you run and grow your business. We hope you enjoy the increased communication!